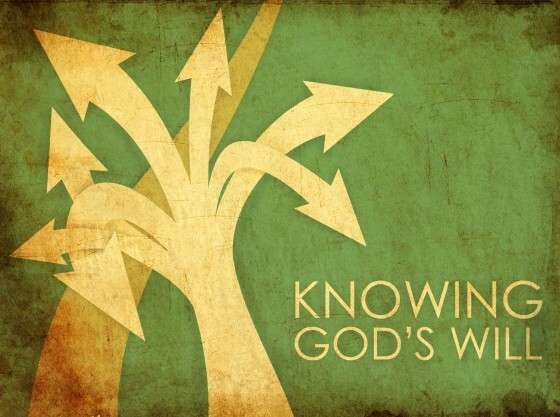 How do you discern or know God’s will? Making decisions that have the potential to alter the rest of your life can be extremely difficult, and concerns about “missing God’s will for your life” makes decisions even more difficult. What career will we pursue? These are the larger decisions about which we feel angst, because there are consequences to these decisions. This is when we usually go to praying. Discerning God’s will was a major focus of my prayers in those college-age years. But this came up again at midlife. I thought I had the answers to those prayers, but at midlife new questions arose, questions for which I had angst, knowing that they too would have an impact for the rest of my life. I had better get these right, because the stakes were higher now. I really did want to know God’s will again! In this series of blogs, I will explore this challenge of discerning God’s will, with some help from Gordon Smith’s book, Listening to God in Times of Choice. Ephesians 3.11, “This was his eternal plan, which he carried out through Christ Jesus our Lord.” This is a plan God will carry out, regardless of what we think about it. Much of God’s will in scripture has to do with how we live our life, the right and wrong of our actions and attitudes. This aspect of his will is clearly given in the scriptures, and it’s a matter of obedience, not choice. But what about the rest of life’s choices? The decision to go left or right, to do this or that? Decisions that are not moral, nor are they eternal – but very practical, and still important. God has a perfect plan for each person’s life. People holding this view look for signs like open doors, or ‘Gideon’s fleece.’ With a high view of the sovereignty of God, they believe there is one perfect plan for their life. Isaiah 30-21, “Your ears will hear a word behind you, ‘This is the way, walk in it,’ whenever you turn to the right or to the left.” Verses like this tell us there is a direct communication from God to guide us through life. Stay tuned to this blog series, as we delve further into this important question of discerning God’s will. Which of these models do you believe? How do you discern God’s Will? Leave a comment below.